We just witnessed the wonderful scene of thousands of Canadians marching in Ottawa to show their support for life. It was encouraging but also raises some serious questions. 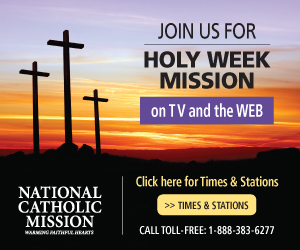 DUBLIN – Irish bishops used Pentecost Sunday Masses to make a final appeal for people to reject a government proposal to remove the right to life of unborn children from the country's constitution and pave the way for abortion up to 12 weeks' gestation. WASHINGTON – Pro-life advocates lauded a federal government proposal that aims to remove Title X funding from programs and facilities that promote and perform abortions. 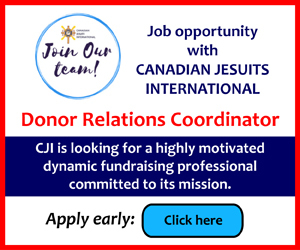 OTTAWA – There is little difference between the views of Canadian Catholics and the general population when it comes to abortion, conscience rights and the Canada Summer Jobs attestation, according to a poll commissioned by the Knights of Columbus. DUBLIN – In the last major pro-life rally ahead of Ireland's May 25 referendum on whether to liberalize the country's abortion laws, thousands gathered to say "no" to far-reaching proposals that could see abortion on demand up to 12 weeks, and even later in some cases. 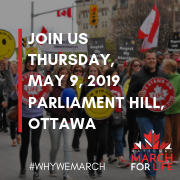 OTTAWA – Thousands of pro-life Canadians participating in the National March for Life May 10 were forced to reverse course by a small counter-demonstration blocking the route. Twelve Canadian bishops, including Cardinal Thomas Collins of Toronto, are withholding contributions to the Canadian Catholic Organization for Development and Peace following preliminary research that indicates some of the Catholic agency’s partners may be connected to abortion or artificial contraception. YORK, England – A London council has become the first local authority in the UK to approve a buffer zone around an abortion clinic.